(What, that was apples and they keep doctors away, you say? Never mind, let’s just ignore that). Oranges are loaded with vitamin C, an anti-aging superstar that saves skin that’s spent a bit too much time in the sun, gives a tired and dull face a much needed pick-me-up and makes everyone age slowly. PRO TIP: if It has “ascorb” somewhere in the name, it’s a form of vitamin C.
How does it not? This guy does everything. Well… almost. You’ve probably heard of free radicals. They’re molecules that have gone crazy when they’ve lost one of their electrons. To get it back, they attack other molecules. It’s the start of a chain reaction that damages your collagen and cellular DNA and ends in wrinkles. Vitamin C is always on the lookout for those nasty free radicals. Once it spots one, it fights it and destroys it. How? If vitamin C is around, those wrinkles won’t show up anytime soon. If your skin were a building, collagen and elastin would be the scaffolding that supports it. Collagen is the protein that keeps skin firm. There’s no sagging on its watch. Elastin is its BFF. It keeps your skin elastic. If your skin bounces back when you pinch it, you know elastin’s doing its job well. Problem is, these two are always under attack. As you go carelessly about your day, UV rays, pollution, smoking and all the other usual culprits attack and destroy them. To make things worse, as it gets older, your skin can’t produce all the collagen and elastin it needs to stay young and firm. Skin starts to sag. Wrinkles appear. That’s when vitamin C comes in. Vitamin C is essential for collagen and elastin synthesis. When it’s around, it pumps up their production a notch or two, helping your skin stay younger for longer. Spent a little bit too much time in the sun when you were younger and now your skin is riddled with sun spots? Or maybe you’re pregnant and, all of a sudden, melasma has made an unwelcome appearance on your face? Or you’ve popped that zit and now a dark spot has appeared where the damn thing used to be? Blame melanin. It’s the substance that gives your skin its beautiful colour. When it goes into overdrive, dark spots show up all over the place. Don’t panic. Vitamin C can fade them all. It speeds up your skin’s natural exfoliating process, helping to replace those darker and more damaged cells with lighter and healthier ones. Wait! There’s more. Vitamin C also prevents the sun damage that makes your skin produce too much melanin in the first place. Those pesky dark spots won’t come back anytime soon. Maybe you don’t have dark spots, yet. But, your skin’s looking all dull and lackluster. Its natural glow has completely disappeared. That’s a sign your skin isn’t exfoliating as quickly as it used to. Vitamin C can speed that up. Exfoliation does wonders for your skin. It fades uneven spots, smoothes out rough patches, and brightens the complexion. If you want your natural glow back, vitamin C’s your guy. Vitamin C is very powerful on its own. But, when it meets together with its friends, vitamin E and ferulic acid, it is unstoppable. 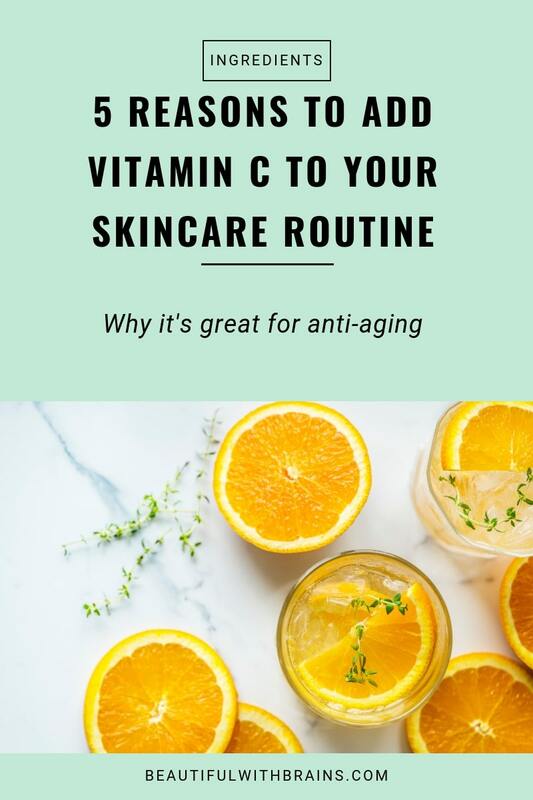 Translation: vitamin C + vitamin E + ferulic acid boost one another’s effectiveness and the protection your sunscreen gives you. Vitamin C is a pain to formulate with. Both the ph and carrier system must be right or it won’t be able to penetrate your skin. If it can’t get in, it won’t work as well. The concentration must be right, too. Too little and it won’t do anything for you. Too much and it’ll irritate your skin. Yep. Nothing’s perfect, you know. So, what’s wrong with it? Stability: pure vitamin C is very unstable. When exposed to light, air and heat, it loses its effectiveness (its derivates are more stable, but less effective). WARNING: if vitamin C turns yellow or brown, it means it is starting to lose all its anti-aging goodness. Related: Can You Still Use Your Vitamin C Serum After It’s Turned Brown? What Are The Best Products With Vitamin C? Vitamin C is one of the anti-aging superstars you should include in your skincare routine. It keeps wrinkles away, firms your skin, fades dark spots and even treats sun damage. What more could a girl ask for? Are you already using vitamin C in your skincare routine? Share your experience in the comments below. A very informative post, indeed.. I agree on the last paragraph 🙂 Getting everything in moderate is way better. I like to use Vitiman C products (like Paul and Joe Whitening Serum) with Vitamin B3 products (Fair and Lovely or Olay Definity) to get more bang for the buck, too. .-= Jamilla Camel´s last blog ..Latest Acquisitions: Tods Shoes and DSK Earrings =-. This is rather interesting. There has always been much controversy of the benefits and efficacy of ingested vitamins versus topical vitamins. Take for example Collagen. We have collagen added to a number off our creams, salves and serums. In Japan and Asia they sell Collagen in drinks with the reasoning that collagen can not be absorbed into the deeper layers our of epidermis making the stuff you slap on your face almost useless. Meiji even goes to state that their marine based Collagen powder has a higher absorbency rate when mixed in with your drink. Is this true? Do they really work faster than topical solutions? Or do some vitamins, when ingested, go to other places than the ones you intend them for? .-= Saintangelius´s last blog ..Absence makes the heart grow fonder… =-. Jamilla Camel: that’s a nice approach. Vitamin B3 has great benefits for the skin, including antioxidant properties. Using them together will probably enhance their benefits. Saintangelius: Skin is designed to keep everything out and for this reason, despite what companies claim, ingredients applied topically usually stay on the surface of the skin, which is made of dead cells. Creams do moisturize and prevent water loss but that’s it. To do more, the ingredients will have to penetrate deep into the living cells of the skin and only very few substances can do that. That’s why it’s better to get vitamins, proteins and everything else our bodies need from food than a cream. Vitamin C can penetrate deep into the skin but for it to do so, it has to be present in high concentrations in the product. If it is listed towards the end of the ingredient list, it won’t do anything. But if you eat an orange a day for example, your body will have all the Vitamin C it needs for collagen synthesis. As for collagen, there is no proof that applying it on the skin has anti-aging benefits. It will moisturize the skin but nothing more. The same is true if you drink it. It may plump your skin a bit but won’t help with wrinkles. On the one hand, people do not realise that vitamin C is a water soluble vitamin and thus anything not used is excreted in urine, so it must be taken daily. On the other, it’s really really easy to get. The RDA for vitamin C is 60mg a day, the average sized kiwi contains 48mg of vitamin C – well over half the daily recommended allowance. Of course, the RDA is a MINIMUM required for health and you can safely exceed it many times over. Worth mentioning, however, that taking in amounts of vitamin C over 10,000mg a day has shown to contribute to the production of form radicals (like free radicals, but complete groups of oxidised cells) which are also a considerable health risk. So yes, all things in moderation. Personally I wouldn’t exceed 1000mg a day, but I’ve sold vit C to patients fighting cancer before who’ve taken 5000-8000mg daily. 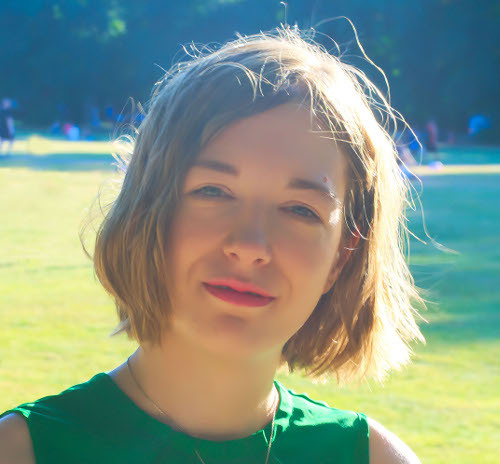 .-= Anastasia´s last blog ..Sliced Bread Isn’t Actually All That Great =-. Thank you for sharing Ana. I agree with you that too much Vitamin can cause damage. I’ve never been too worried about it as the body simply eliminates any excess, but then I’d never take that much! I would never recommend that, too much of a good thing is never good and may actually cause more harm. When it comes to getting the right vitamins for your skin i feel it’s always a good idea to work from the inside out, most of the time it’s cheaper too, a combination of foods high in a vitamin plus a top up with supplements is affordable and will compliment the skincare products used. Selenium is another good antioxidant. .-= Beauty Able´s last blog ..Get Rid Of Blackheads With Pore Cleansing Strips =-. I agree with you Beauty Able. I think the body benefits more getting vitamins by eating foods rich in them than from topical creams. It’s definitely cheaper considering that most skincare products don’t contain concentrations high enough to provide benefits for the skin. Joscelyn, hi and thank you for your kind words. I’ve partially answered this question on the glycerin page, but basically I believe that, when it comes to Vitamin C, it’s better to spend a bit more and buy a product properly formulated with it rather than try to make your own. It’s very difficult to stabilize Vitamin C and, when unstable, it oxidizes (ie lose its effectiveness) really quickly. You would also need to use a concentration that’s high enough to penetrate the skin but not so high to cause irritations, which isn’t easy either. Hope this helps. Hi! I just started reading your blog and I love it. It has given me a more informed idea of how to take care of my skin effectively. I do have some questions though. According to your blog posts, there are multiple products that you need to use on a daily basis. But is it safe or effective to use all of those products on a daily basis? Like a vitamin c serum, Retin A, alpha hydroxy acid, moisturizing cream, an antioxidant serum… Would you recommend using them all everyday? Do you have a blog post were you talk about your own skin care routine? Thank you! Diana, that’s a very good question. My aim with this blog is to tell you what really works to treat all the various skin conditions. But what you end up using depends on several factors including your skin type, age, skin issues etc. If you want to keep things really basic, you can use only these three products: http://www.beautifulwithbrains.com/essential-daily-skincare-products/ this is what I would recommend to a teen without acne as their skin is still in very good condition and doesn’t need much help.